Responsibly harvested, FSC® certified premium California limited edition Redwood is naturally resistant to warping, shrinking, and cracking, and additionally kiln dried. This impressive, highly desired lumber is perfect for outdoor applications. Redwood is rot-resistant, extremely durable, and beautiful when allowed to weather to gray or preserved with a few coats of tung oil. Redwood takes longer to mature than most other woods. Its natural tannins and oils make it even more resistant to pests and rot than Cedar (and its durability exceeds that of Cedar as well). Redwood top bar hives include a premium copper composite roof which can be reversed to white, should you wish. Once these are gone, they are gone! Don't miss this small run these handsome, heritage quality Redwood hives. Clear grain Douglas Fir offers exceptional toughness, beauty, and value and its strength is a benefit to the top bar hive’s longer sideboards, and sizable shingles. Since Douglas Fir is among the heaviest and hardest softwoods, its dense composition compliments the light lifting of single bars of honeycomb (5-7lbs), versus the heavy boxes of the Langstroth and Warre hives. 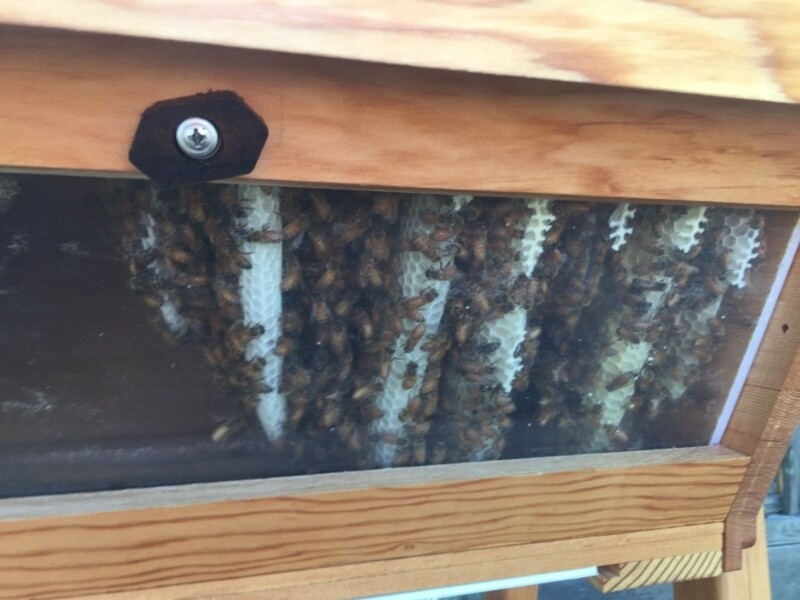 Read more about our new top bar hives on our Top Bar Hive Frequently Asked Questions page. Is very nice, would buy another. Be nice to have a bottom board that would drop open with screen in it for ventilation. Very good overall. Assembly was very easy. Roof ridge board was warped, but a replacement board arrived within 4 days. Shipping was unbelievably fast. I did,however, reinforced the roof with a 1 x 2in straps in the middle. I also replaced the hinge pins with machine screws and nuts for sturdier operation. Overall, everything looks works great! We purchased one of the original Bee Thinking TBHs. It has been going strong for 7 years and we have been very happy with it. What we are looking for in our next hive is a horizontal Langstroth with cavity dimensions that will accommodate Flow frames for easy honey extraction. 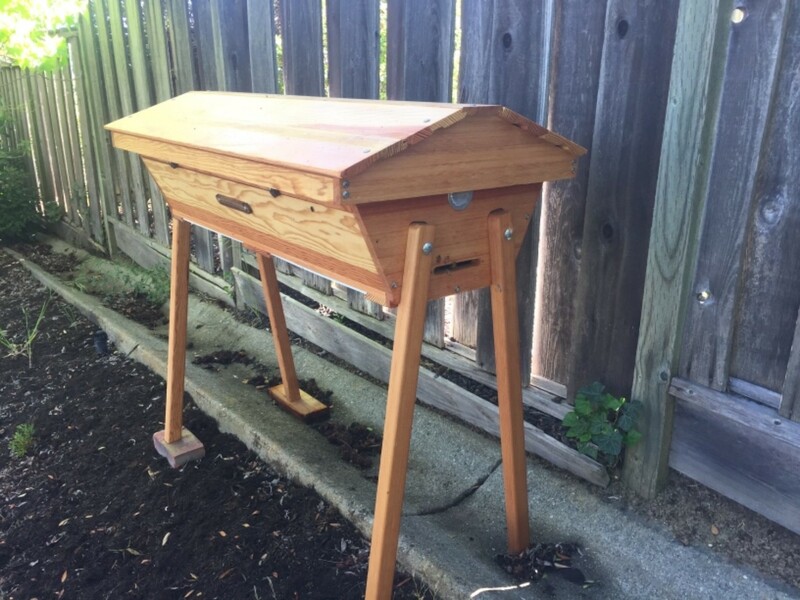 Please consider building a horizontal hive that will accommodate foundationless Langstroth frames and Flow frames... It would combine the best of what top-bar and Langstroth hives each have to offer! The hive is beautiful, looks lovely. It was easy to put together. Leveling was a breeze. Although, it would be nice if the veiwing window was optional.